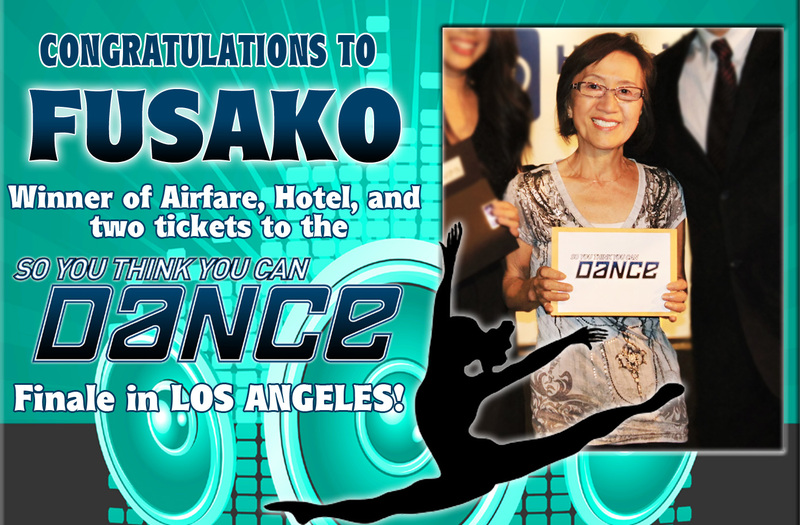 HiTel FCU teamed up with KHON2 to present the So You Think You Can Dance dance competition! Contestants had to record and submit a 15 second video of themselves doing their original version of the Hawaiian Tel Federal Credit Union Happy Dance! The entries were looked over and 10 finalists were chosen. The public had the chance to go online and vote for their favorite entry! Over 1,200 votes were received! On Friday, July 18th, a private award ceremony, sponsored by HiTel FCU, KHON2, Ua Water, and Ultimate Vacations, was held for this contest at the Clear Channel Radio Music Hall. Six of finalists, Kale, Kelii, Grant, Justin, Leilani, and Fusako, attended the ceremony. Our host, Slick Vic of 93.9 JAMZ, tested the finalists and their guests with trivia about So You Think You Can Dance and HiTel FCU. Winners of the trivia received gift certificates to Zippy’s Restaurants! Then, each finalist took the stage for a short interview with Slick Vic. We found out why each finalist entered the competition, and what their favorite dance move was. Of course, Slick Vic asked each finalist to give us a short demonstration of their favorite moves, which varied from “the sprinkler” to Korean Pop choreography. KHON2 hooked-up the finalists with So You Think You Can Dance gift bags stocked with goodies and HiTel FCU gave each finalist $100 cash in glamorous golden boxes! Fusako will also be featured in the next HiTel FCU commercial! See Fusako’s winning entry here! Megan next to our great spread of yummy food! This entry was posted in CU News and tagged award, competition, contest, credit union, events, khon2, realityshow, soyouthinkyoucandance, uawater, ultimatevacations, winner by Hawaiian Financial Federal Credit Union. Bookmark the permalink.